If you are looking for a laugh then you need to stop by The Comedy Stop the next time you visit Las Vegas. The Comedy Stop has been making people laugh since 1983. You will have the opportunity to experience the hottest standup comics on the Las Vegas circuit when you head to this Mecca of non-stop laughter. The Comedy Stop is known for being the place where some of the rising stars of comedy perform stand-up routines. This is an intimate, nightclub type of setting where these comics really can connect with the audience. If you are looking for something to remind you of the lounge era that was big in Las Vegas, you need to visit The Comedy Stop. What’s On Magazine has nominated The Comedy Stop as one of the Funniest Comedy Rooms. While you are seeing these hilarious comics perform live, you have the opportunity to sip your favorite beverage (cocktail or non-alcoholic) and enjoy the ambiance of your surroundings. You may want to be careful when you take a drink though because it will not be long before you are laughing non-stop at the antics of those who perform at The Comedy Stop. The Comedy Stop is located at the infamous Tropicana Resort and Casino on the Las Vegas Strip. This comedy nightclub opened back in 1990. Up to 300 audience members can fill the seats at this club. The Comedy Stop also features a full bar, which serves food as well as their specialty, frozen cocktails! The club is open from noon until midnight. There are two show performances every night and the club does not even close for holidays! 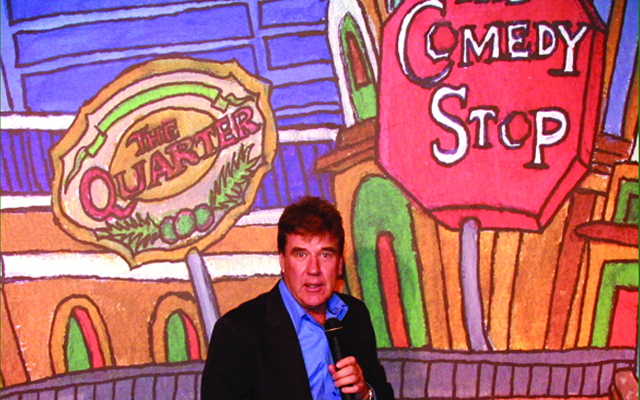 The Comedy Stop is part of a chain of nightclubs. 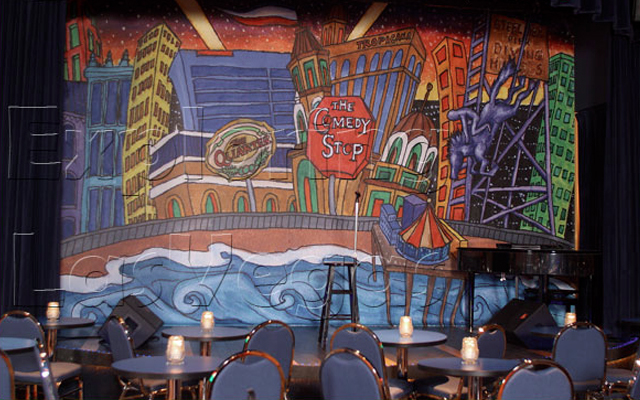 The first Comedy Stop club opened back in 1983 in Atlantic City, New Jersey. The lineup per show is three stand-up comedians. The same comedians perform shows at an 8 PM non-smoking show. The other show is at 10 PM. These comics perform the same routine for one week before new comedians come in to perform at The Comedy Stop the following week.